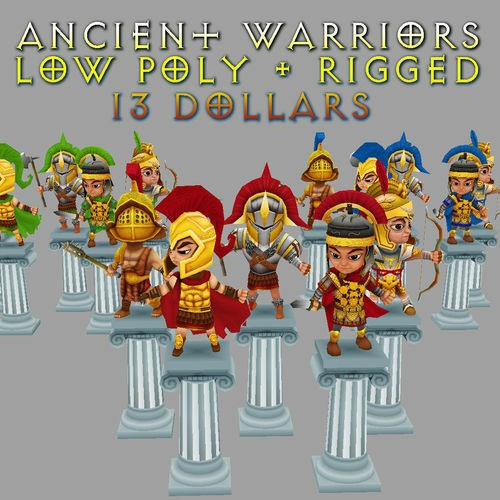 Ancient warriors based on the classical period clothing. The armours are mostly made out of gold and iron with carved decoration. Low..... very LOW Poly . Ready to use. Enjoy the team of warriors!